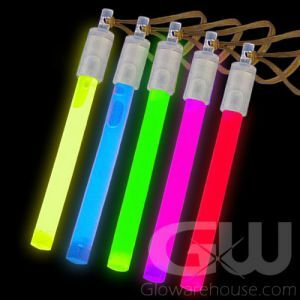 - 6 Inch Bulk Glow Sticks! - 8 Brilliant Hours of Glow! - 12 pieces per Pack! - Special Events! Parades! Fairs and Festivals! It's time to get glowing with bright, versatile 6" Glow Sticks! 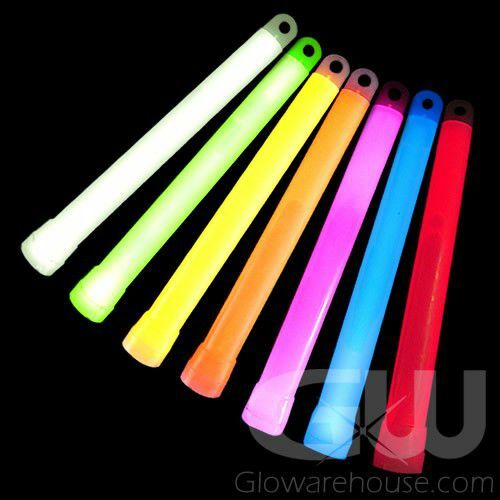 The 6 Inch 8 Hour Glow Sticks are a great all purpose glow stick for both recreation and safety or emergency purposes. 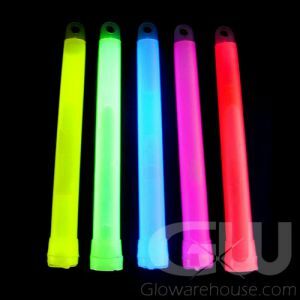 Use these standard size 6" glow sticks at concerts, festivals, dance clubs or as night sport and glow golf markers. Night golfers use these six inch glow sticks to mark out hazards, tees, fairways and pins. Light up pumpkins, trick or treaters and make fun glow crafts at Halloween! 6" glow sticks make great area markers when camping, and are a must have item during power outages. 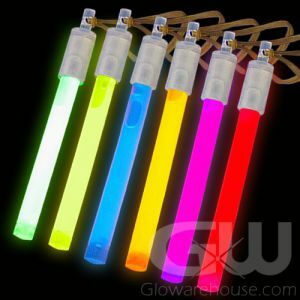 And they're tons of fun at glowing pool parties as glow sticks are totally waterproof! 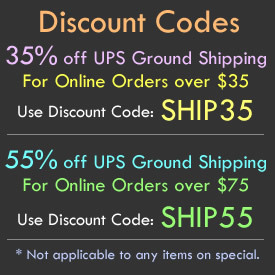 Our 6 Inch Light Sticks come in a variety of colors and have an average glow duration of eight hours. To activate, just bend the glow stick enough to break the inner capsule. Shake to mix and start glowing! Optional lanyard strings for each glow stick are included in each pack.